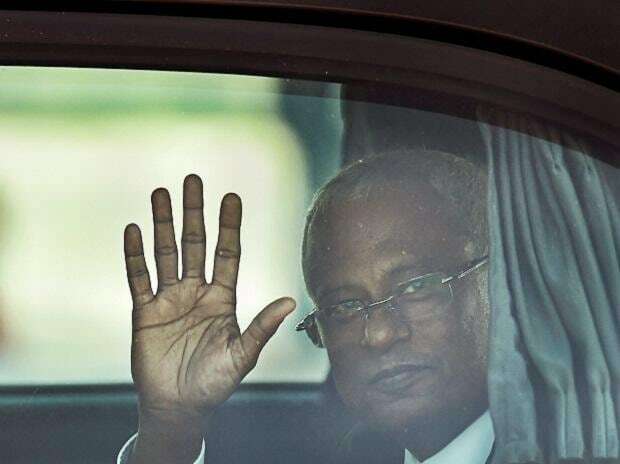 Maldives President Ibrahim Mohamed Solih's party is heading for a historic landslide victory in parliamentary elections, provisional results showed, a move that will help him to investigate the scale of debts to China. With 85 per cent of ballot boxes counted, candidates from Solih’s Maldivian Democratic Party (MDP) lead in more than 60 out of 87 constituencies, according to local media projections. The Indian Ocean archipelago has been caught in a battle for influence between India and China, which invested millions of dollars during Yameen's rule as part of its Belt and Road plan. Since he unseated pro-China leader Abdulla Yameen in September, Solih's MDP, which has governed in a coalition with three other parties, has warned that a building boom has left huge debts to Chinese lenders. The MDP has pledged to investigate the infrastructure projects and determine the islands' true debt to China, which it fears could run as high as $3 billion and risks sinking the economy. Yameen denies any wrongdoing in relation to the Chinese debt. According to the current projections, the MDP could take a near two-thirds majority in parliament, the first time a party has had such a majority since the first multi-party elections in 2008. The party's leader, former president Mohamed Nasheed, also won his seat in a newly formed constituency in the capital Male. MDP supporters gathered at the eastern end of the capital to celebrate. Jubilant supporters waving the party's yellow flags embossed with blue scales of justice sang and danced in celebration. Addressing the supporters at the victory rally, President Solih reiterated his zero tolerance policy for corruption. "This is the moment for all the citizens to work together in unity. We are ready to work together to fulfill the needs of the people and serve them, without any discrimination, " Solih said. "You will see the commission tasked with investigating corruption and recovering state assets function with the support of the new parliament," he added. "The work of the commission investigating unresolved deaths and enforced disappearances will go ahead more quickly with the support of this parliament." The MDP only had a majority in the previous parliament with the support of its coalition partners, including The Jumhooree Party, which has been absent from votes to begin any graft investigation. The Jumhooree Party and Yameen's Progressive Party of Maldives (PPM) are both campaigning on a nationalist, religious platform. Last month, Yameen spent more than a month in police custody over a graft scandal aimed at siphoning money from the islands' tourism board. He was released on bail on March 28 in time for the last week of campaigning, and denies the charges.